Ignorance is Curable: Singapore - Christmas is Shocking! In addition to my previous post on Christmas in Singapore, I noticed a new trend this year. 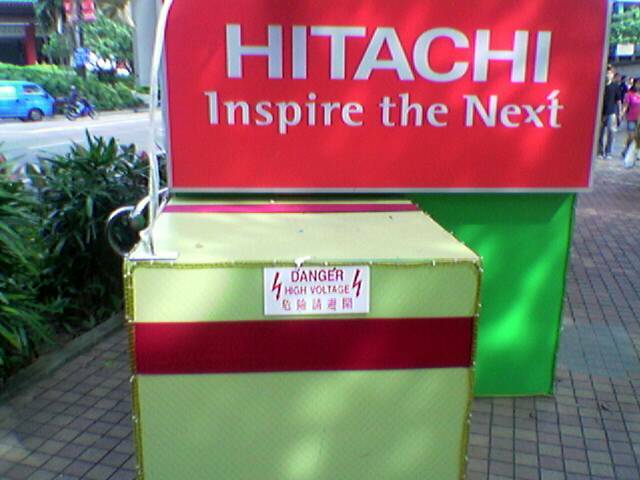 The outdoor decorations and many displays in stores now sport signs saying "DANGER - HIGH VOLTAGE. Pretty interesting for a place where it rains just about every day. This redefines the concept of a "warm and fuzzy feeling" when looking at displays. Either we have hit a new low in public safety, or the theft rate is significant enough that the display owners are trying a fairly pathetic way of trying to keep people off their stuff.